In his role as a designer, Rob brings his eye for design to both print and digital media. He works with clients, such as American Water, BD and PepsiCo and assists the Davis & Company marketing team with design needs. 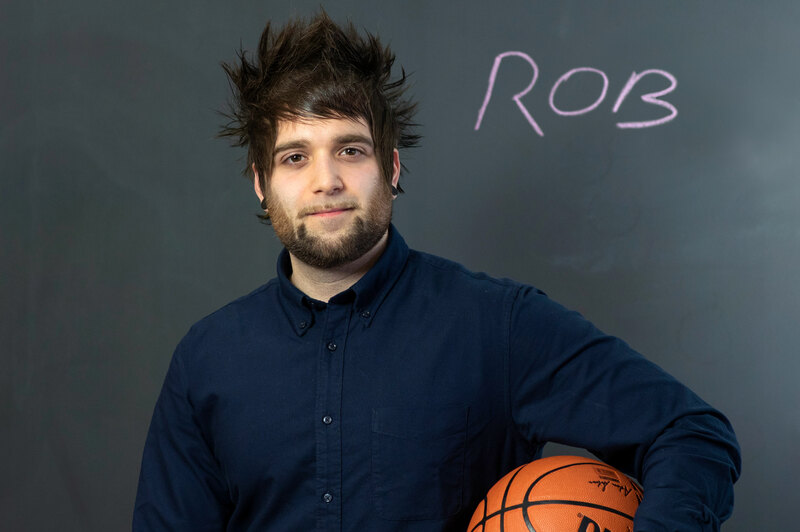 Rob joined Davis & Company as an intern in June 2013 and became a full-time employee in December 2013. Prior to his internship, he worked as a freelance graphic designer. Rob holds a Bachelor of Fine Arts in graphic design from The School of Visual Arts (SVA) in New York City. He is also great at pull-ups, basketball and cooking. An animated video for a global pharmaceutical company’s sales team. Designers: Ed Benguiat, Herb Lubalin and Paul Rand. Athletes: Kobe Bryant and Michael Jordan. Counter server/cashier at a restaurant. Good design, tasty food, training in the gym. What’s the most intense project you’ve worked on? A series of incentive compensation guides for a hotel management company. I’m enjoying working on animated pieces and pushing my digital knowledge. Grab a good pen—never ballpoint! Go to the gym (or park if it’s nice outside) for a long training session, hang out with friends. Serpico. Such a cool wardrobe! Ben & Jerry’s Cherry Garcia. Early access to free Nike gear.